This is a pristine Les Paul Standard from 1968. When it was introduced, this was Gibson's first "reissue" guitar, along with the Custom model that shortly followed. It was not officially released as a "reissue," but was intended to be a recreation of the 1956 P-90 "Standard" model. 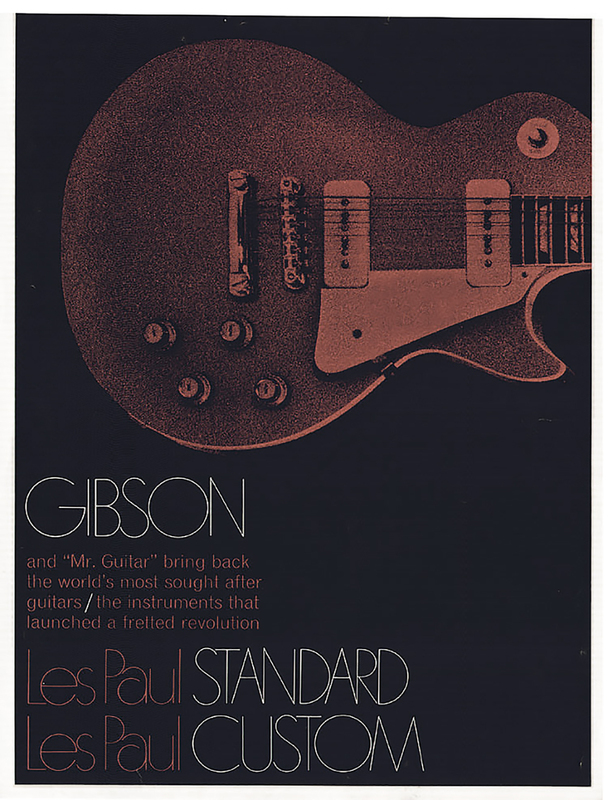 This guitar also marked the reentry of the Solid-body single cut-away Les Paul guitars back into the product lineup. I will find and "properly" photograph this guitar when time allows as its 1 of the nicest living examples of this model that I have ever owned or seen! These early variety guitars have 1-piece mahogany neck construction and the correct small headstock, reminiscent of the original 1956 guitars. Subsequently, after the early production run ended, Gibson decided to modify the features and these guitars quickly received the same large headstock and 3-piece Mahogany neck as the conventional production instruments of the same era with a brief and less desirable short-lived "transitional" version with a large headstock and 1-piece neck. the more desirable and valuable guitars of this period. Despite the description in the attached 1968 Catalog, these guitars were NOT issued with Nickel-plated parts and Chrome was used. It was quite common in the 1960's for all manufacturers to release new product catalogs but display previous and outdated earlier instruments and/or erroneous information, so the catalog images and or listed specifications could not always be relied upon to be current at the time of printing, which usually pre-dated the actual release of the instruments. The early model Goldtops with these features are Reissue guitars, the later, large headstock models cannot accurately be considered Reissues as their construction dramatically differs from the 1956 models they are based on. There is an old wives tale that has been circulating for many decades, so please note: NONE of these later issued Goldtops are made with left-over bodies or necks from the 1950's! I haven't physically seen it for many years.